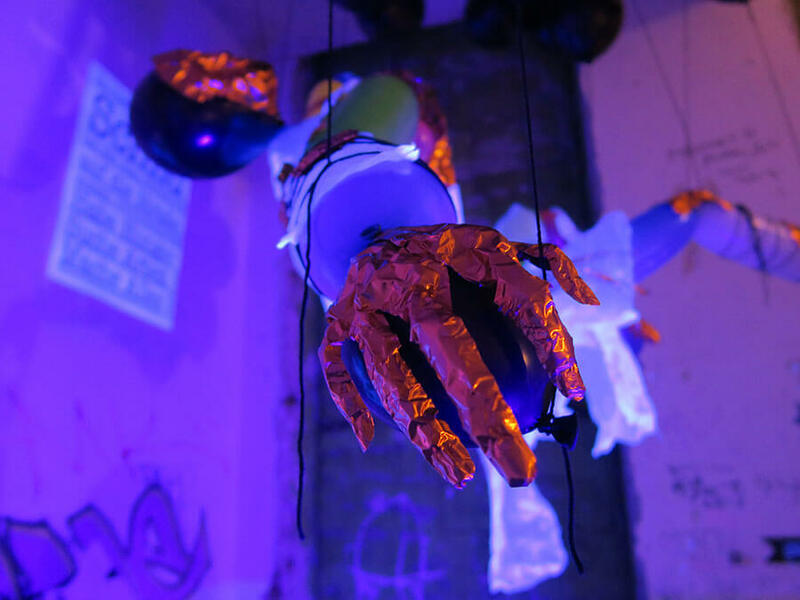 The temporality of this work is essential. 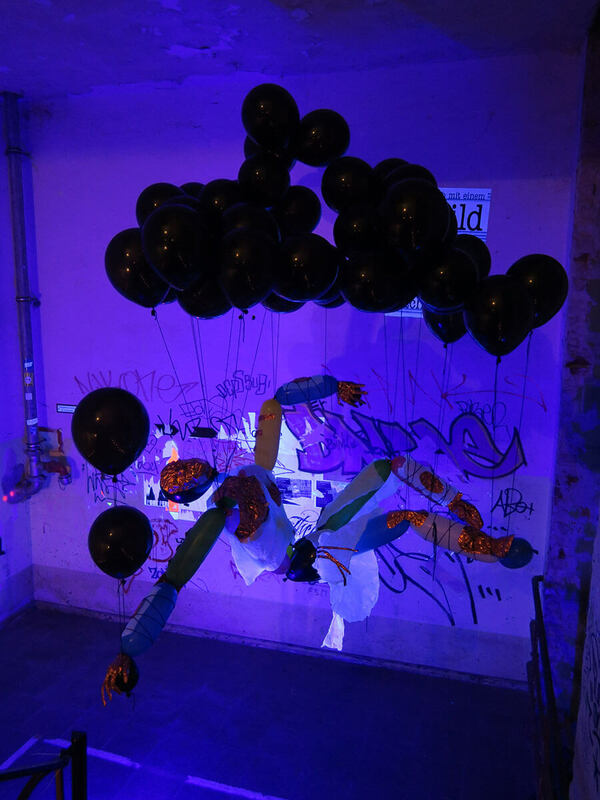 Eventually, it will touch ground… It is inspired by a poem from an artwork by Roos Cornelius. 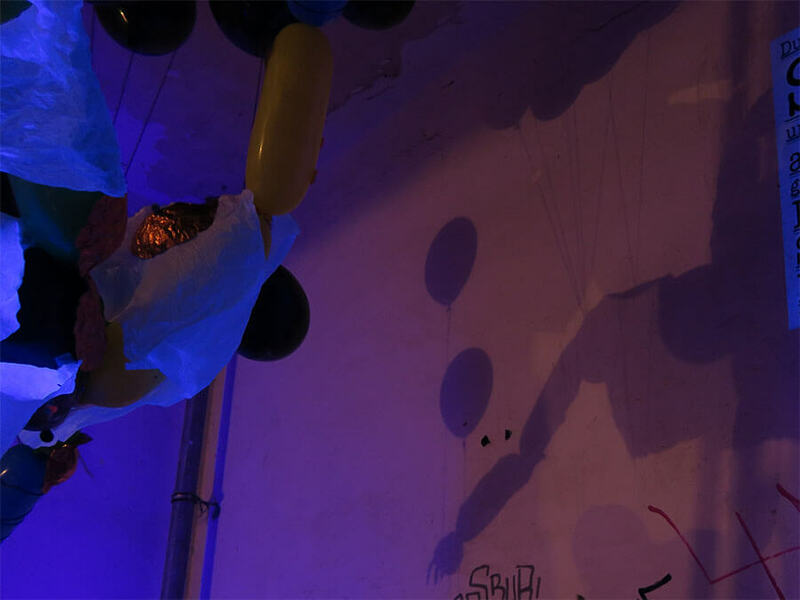 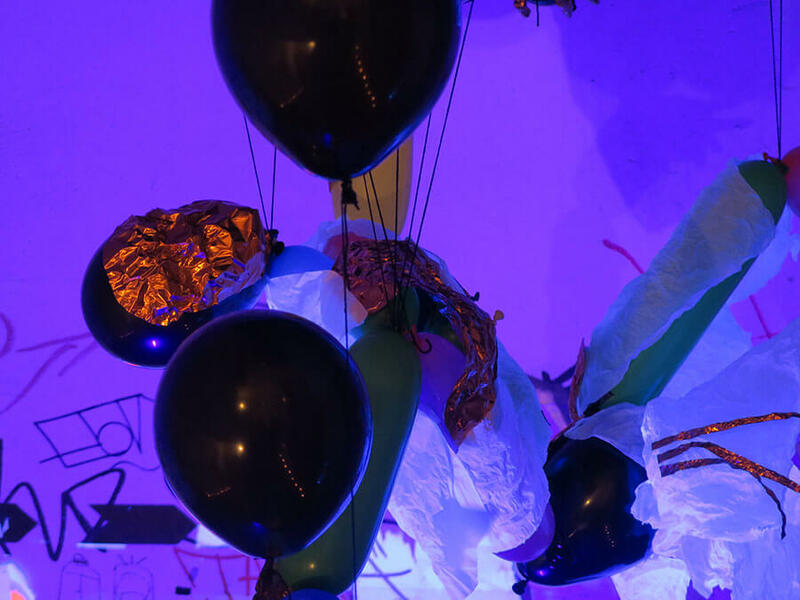 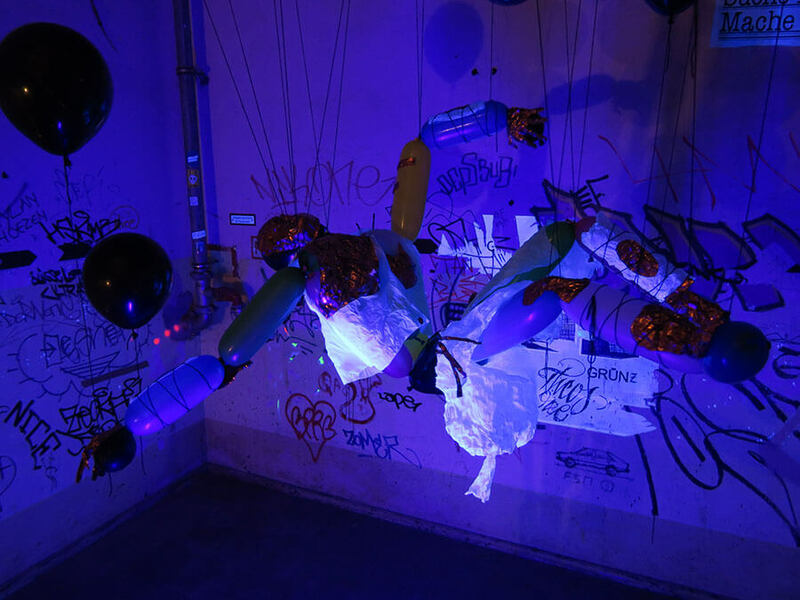 This balloon work and the work by Roos were both exhibited at the ‘Fasching Feast & Exhibition’ at Flutgraben Kunstfabrik in Berlin, Germany, an event curated by The Palace.